To quickly wipe the memory of ground glass smoothies, I took the children out into the big, wide world for a field trip. We were hunting apples. 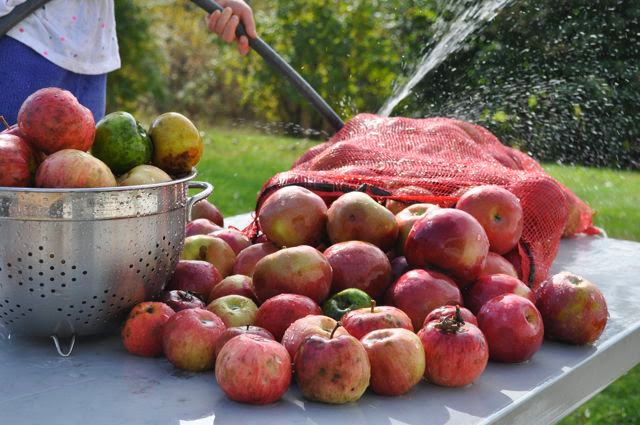 Fall: when apples are at their peak in both nutrition and taste, and are the least expensive. 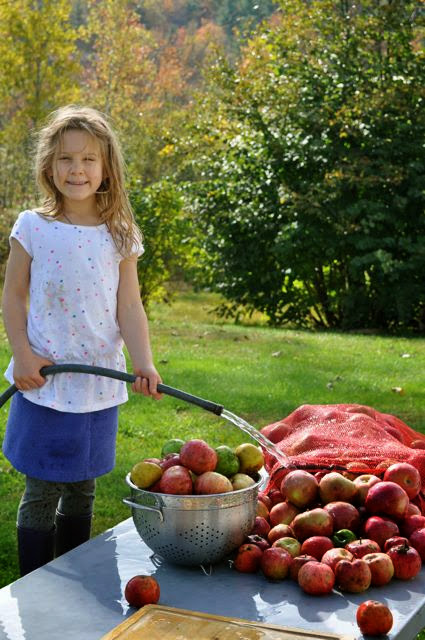 It continues to amaze me that year after year, we can pick apples off trees. Miraculous. 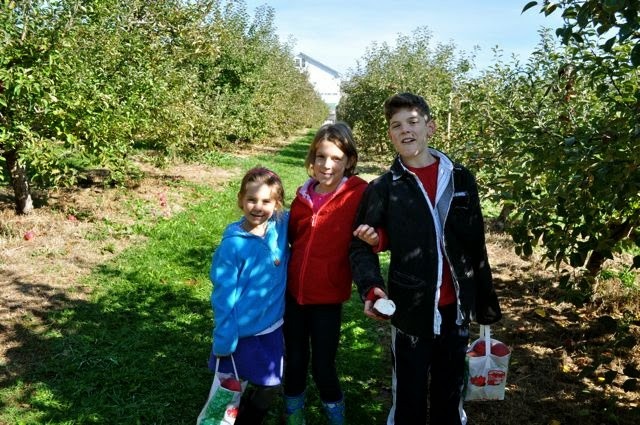 This is the first year a child was missing from annual apple field trip. She had to go to that thing called school. 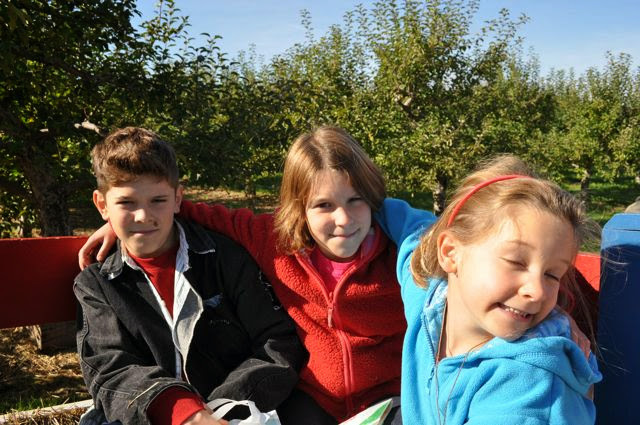 The boy on the left may have been less than thrilled to go on a hayride and smile for the camera, but boys can be easily bribed with the ice-cream Appleview Orchard serves up. Oh. It’s good. 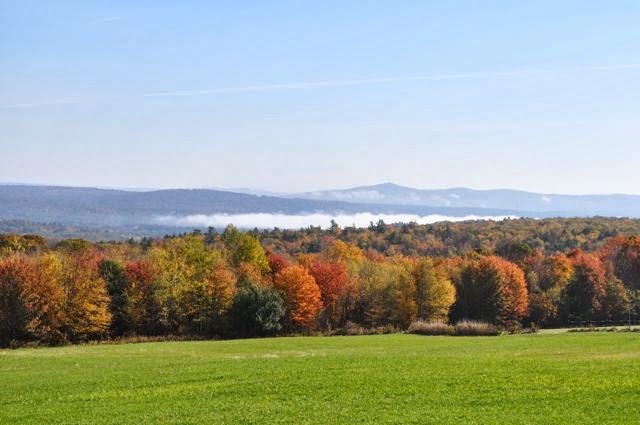 It is also unfortunate that most superb apple farm is in a New Hampshire town called Pittsfield. But there it is. 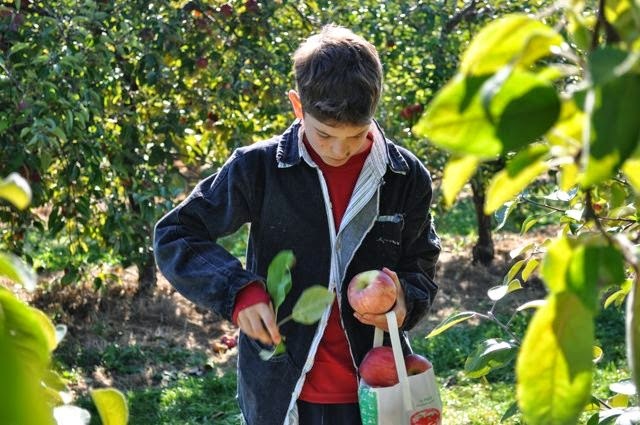 Is there anything so delicious as an apple plucked straight from the tree? Paige likes them mushy b/c hard ones hurt her teeth. I like them crisp. Slluurrrrp. Look boy, pick from my branches. And the boy did, and the tree was happy. Look children, skip down the apple lane and smile for your mother. And they kind of did, and the mother was pretty happy. Especially after eating the apple. 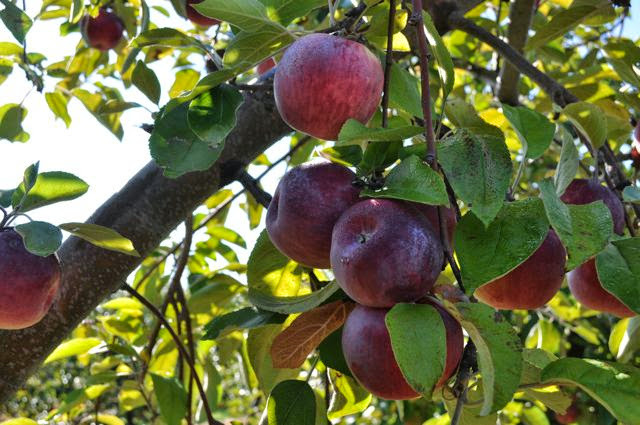 Did you know that honey crisp is very hard to pick because the University of Wisconsin owns the patent and charges big bucks for honey crisp trees? I think we should protest. But Macs were mighty tasty, too. I mean, it’s fun to continually spray your other with the hose! I find it’s easiest if all your jars are washed, dried, and ready to go before you start. I also find it easiest if all the lids and rings are bought beforehand. This is called planning ahead. This is what Maisymak needs to keep relearning. You’re going to see them for sale any day now. Stock up now and store instead of waiting for next year! Then you may start cutting. 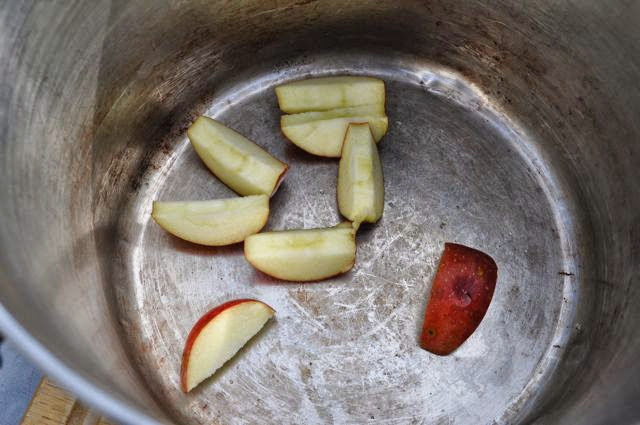 My friend, Kate, uses a knife to get as much apple as possible, but this is far quicker. And my chickens sure love the core. They’ve rewarded my kindness by laying double-yolk eggs this week! Cut, put in pot. Bruised, scabby, pocked. It’s all gonna come off. 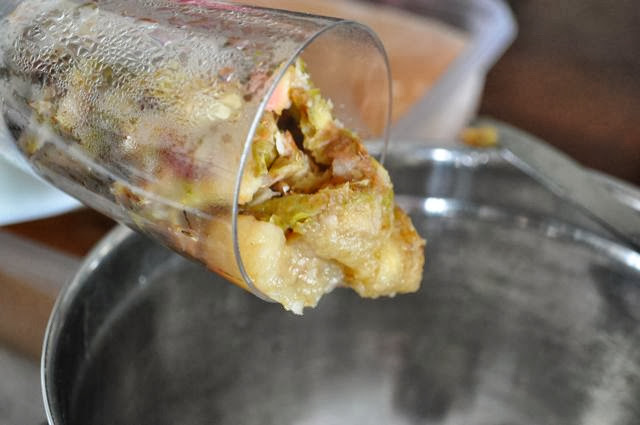 Fill pot with apples. 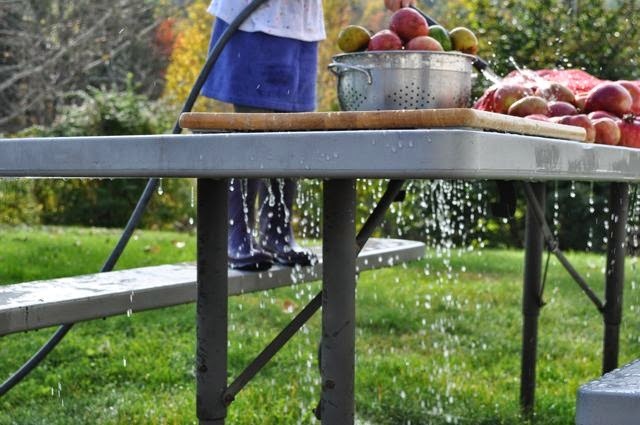 Then fill pot with water to about half, just so you can barely see the water. 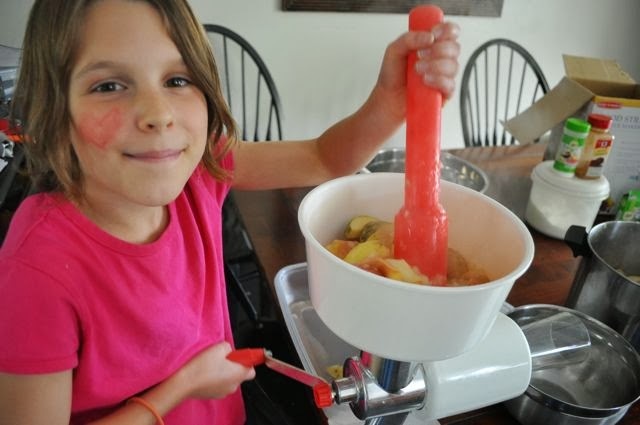 Too much water and your applesauce will be too watery, but not enough…is not enough. 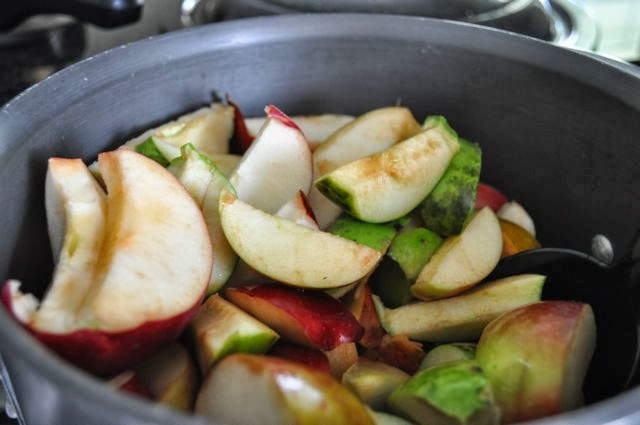 Over medium-high heat, cook apples with lid on until they are nice and mushy. Two-three pots is even faster. 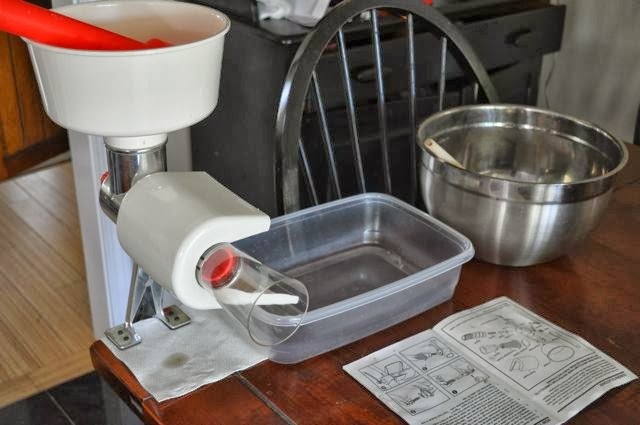 In the meantime, find your Back-to-Basics Food Strainer and Sauce Maker (on sale right now! 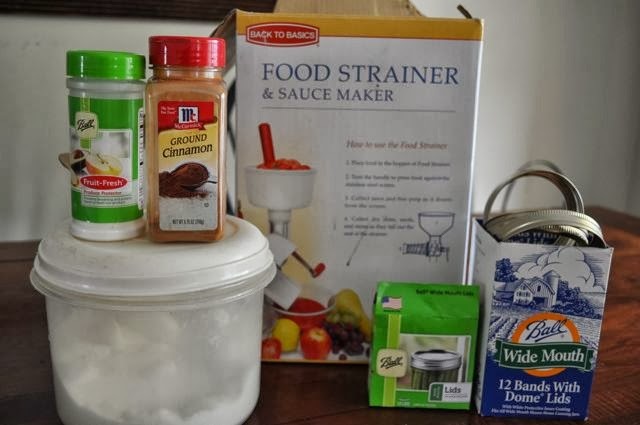 ), canning jars and lids, sugar, and cinnamon. I bought the Fresh Fruit saver powder, but have not found it makes any difference with applesauce. Set it up. I wish this fit on the picnic table outside, but alas, the table is too thick. Grab some old towels for the floor, a wet washcloth for wiping down, and some extra bowls. 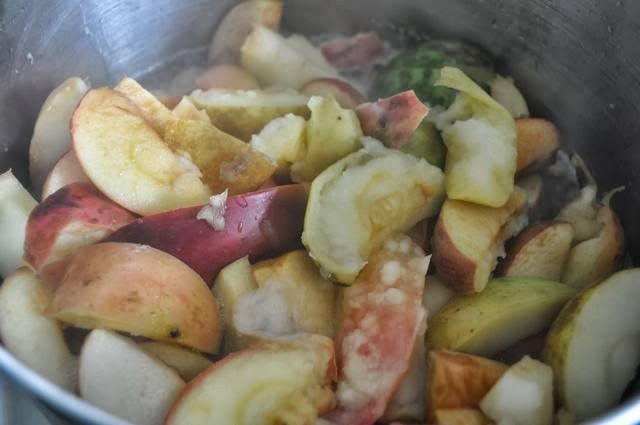 The apples should be nice and mushy now (about 20 min). Pour into top strainer. 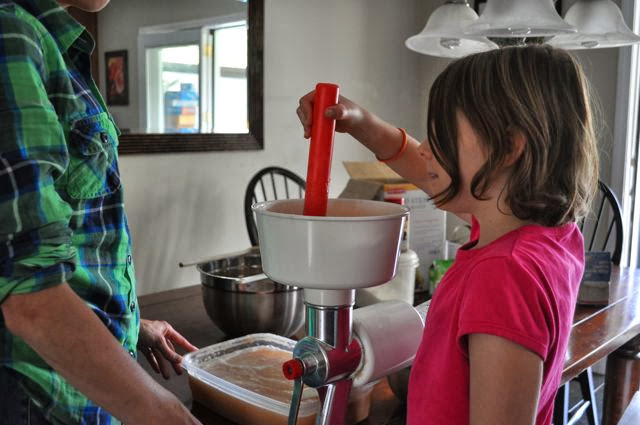 Find helpful child to push apples through and wind the crank. They fight over this job – there is something very satisfying and fun about it! Holy moly, I actually set it up right the first time around! 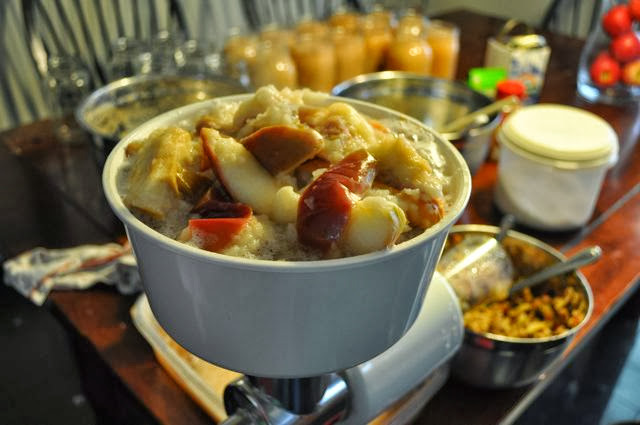 Here is comes…fresh, warm, homemade applesauce. There are other great strainers out there, but I adore this one. 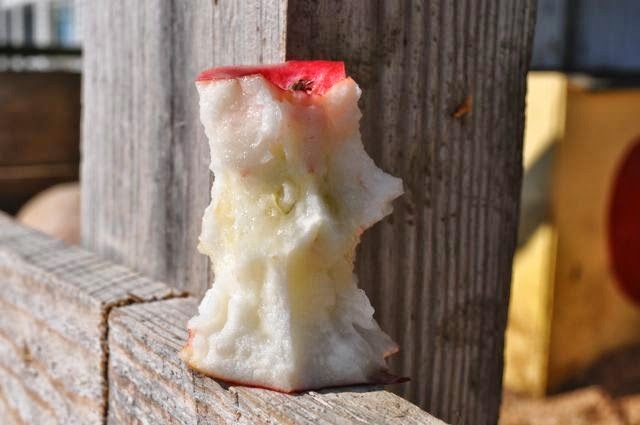 Here comes all the scabby apple skins. I actually put it through one more time to get all the apple. Here’s the shot Nelson got of his mother, which is fine considering my hair that day. 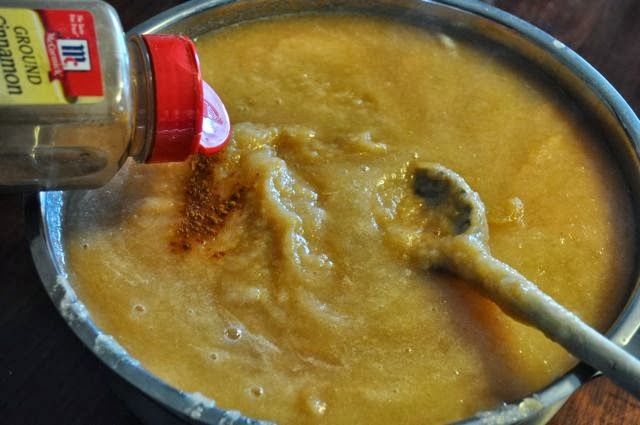 Once your rectangular bowl is full (the one that gathers the applesauce), pour into big bowl and stir in some cinnamon and sugar. 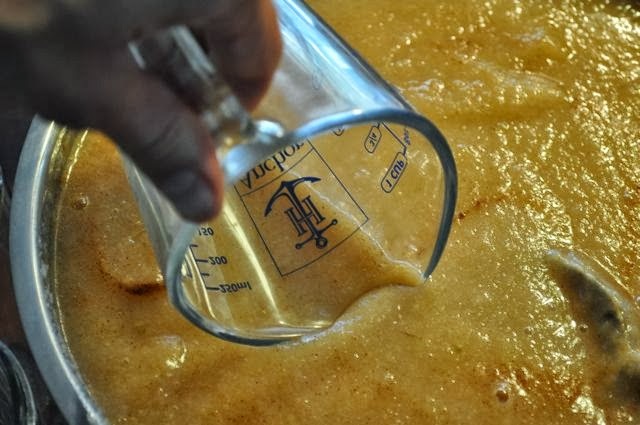 I do very little sugar because (it’s terrible for you) homemade applesauce hardly needs a thing to make it taste better. And now, my friends, it’s time to scoop into jars. 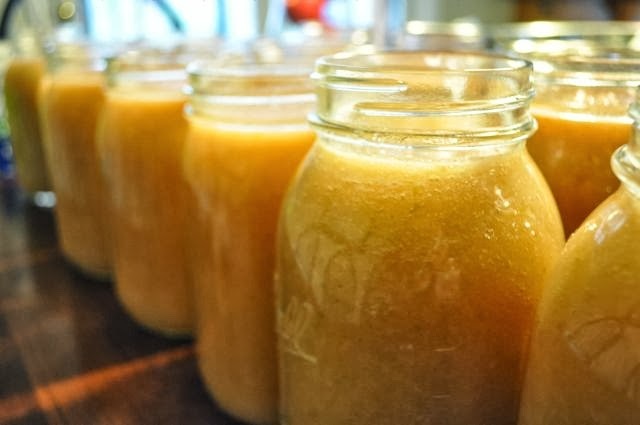 For $7.50 and about five hours of work, we got about 30 jars done from one bushel of apples. That’s .25 cents per jar. WOW. Of course, you don’t have to do this many jars. You don’t need any special equipment. 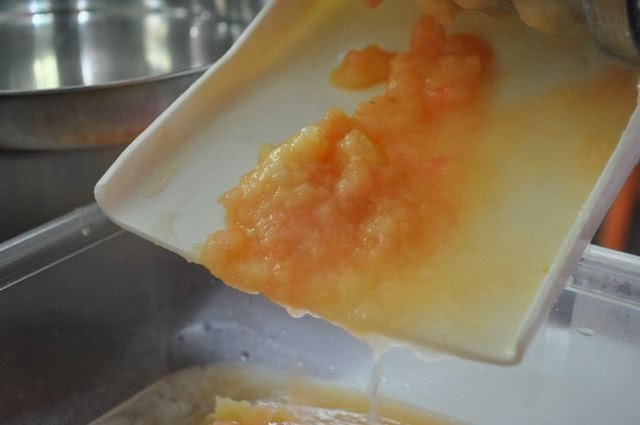 Pioneer Woman has a homemade applesauce recipe that only requires you to peel, cut, and heat the apples. But I like to make a huge batch to last the whole year and to give away a few jars. 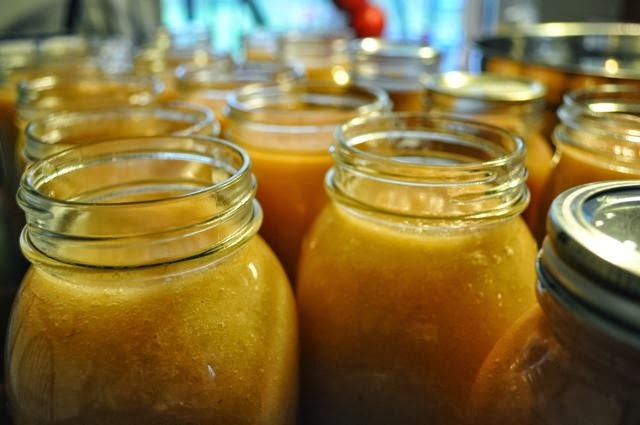 Canning will give your applesauce a shelf-life of 2-3 years. It’s so healthy, too, and makes a great food storage item. I’ve seen these big pots at Goodwill for $2.99. Fill canning pot half-way with water and bring to rolling boil. 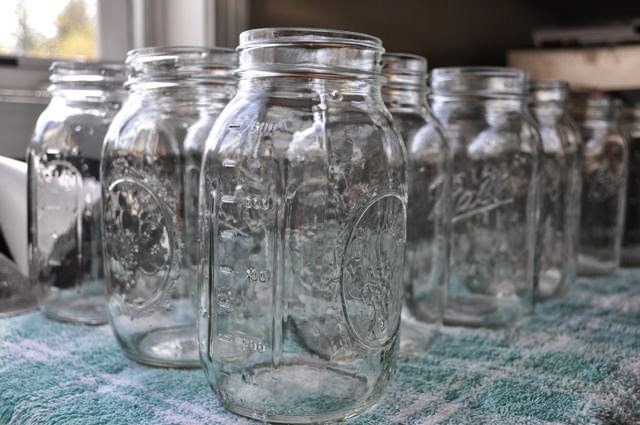 Put lids on jars and with your tongs, insert jars into water. You can use any pot, but this special one keeps the cans down instead of floating up. 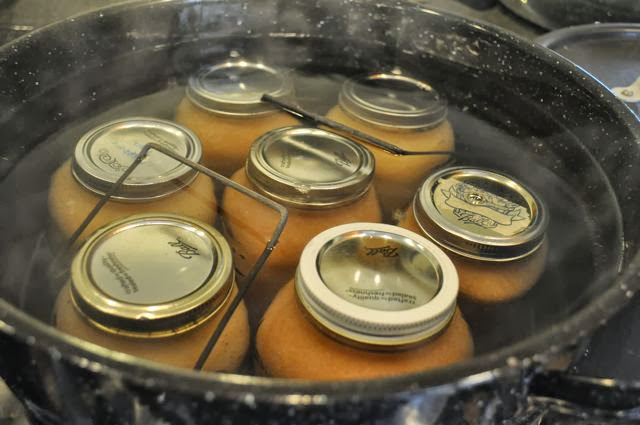 At one time, seven jars are sealed tight in about 1/2 an hour. You’ll know the applesauce is canned when the top lid doesn’t pop back at you. That’s it! And now you may go to sleep because that was an applesauce work-out. P.S. Looking for more endurance and energy? 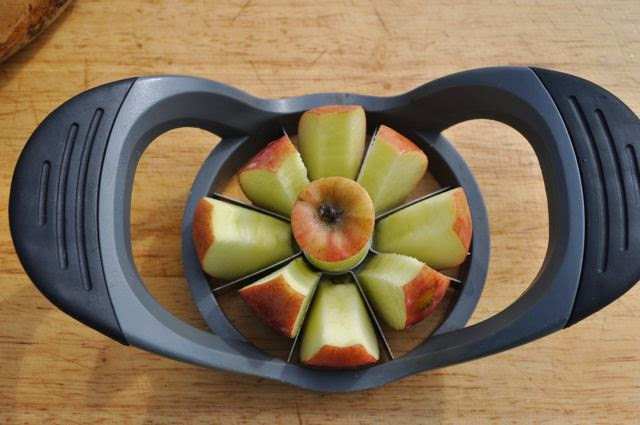 Apples give you the edge. 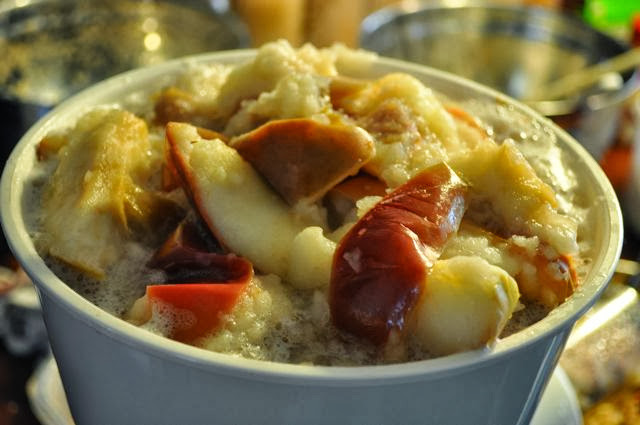 Halloween, Thanksgiving, Christmas, breakfast, lunch, or dinner…applesauce rules. Happy eating! This entry was posted in health, runner food, seasonal, Weekend Recipe, yum-yum on October 25, 2013 by maisymak. This looks delicious! And such a great parent-child activity 🙂 One day I will jar/can something! Oh how I miss making applesauce with you and Kate! Love your pics – making me so homesick!